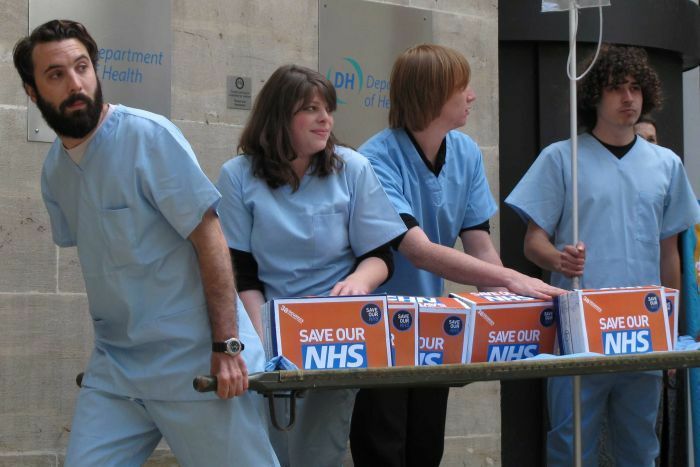 With or without Brexit, the United Kingdom is currently facing a grave nursing shortage, and it is unclear if efforts to plug its near 40,000-strong nurse gap are moving fast enough to maintain current standards of care for citizens across the union. British hospitals badly need more nurses from non-European Union (EU) countries such as India and the Philippines — where English proficiency is high — to stem the exodus of EU-born nurses from the UK. In 2018, data commissioned by Britain’s Nursing and Midwifery Council (NMC) found that the number of new nurses coming from the EU to work in the UK dropped by 87 per cent between 2016/17 and 2017/18. The data also noted that new nurses coming into the UK from non-EU countries had not increased enough to compensate for the gap left by EU nationals. 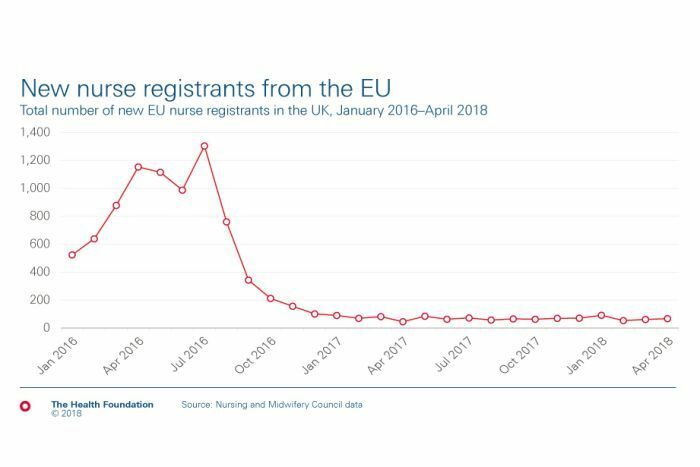 Continuing uncertainty over the rights of EU citizens in the UK after it leaves the bloc has been cited as a primary reason by EU-born nurses and midwives as the reason for their departure. Britain’s current nursing gap could widen to 50,000 once it leaves the EU, a number big enough to staff more than 40 small to medium-sized hospitals, according to a report commissioned by the Cavendish Coalition, a group of health and social care organisations. And if the UK leaves without a deal outlining a future relationship between itself and the EU, it is feared that its supply of critical medicines will be disturbed. A potential future for the UK’s health sector might be one filled with Filipino nurses such as Jobie Escalona. A British parliamentary briefing from 2018 found that Filipino is the third most-common nationality among NHS staff, behind those from Britain and India. As of June last year, 16 per cent of nursing jobs in hospitals and community health services were held by foreigners — nearly a quarter of whom were Filipinos. But for Ms Escalona, the International English Language Test System (IELTS) required to practise nursing initially stymied her, and continues to stymie thousands of experienced Filipino nurses that have applied for nursing jobs. Run by the British Council, IDP Education and Cambridge Assessment, the test gauges applicants’ ability to speak, listen, read and write, and is used by employers around the world. Questions in the academic written section asks candidates to write short essays on diverse subjects, but many candidates find the weighty topics on offer too daunting. Examples given on the IELTS website included interpreting graphs on changes in radio and television audiences, and gender variations between full and part-time students, and discussing the pros and cons of nuclear technology and of regulating car ownership. 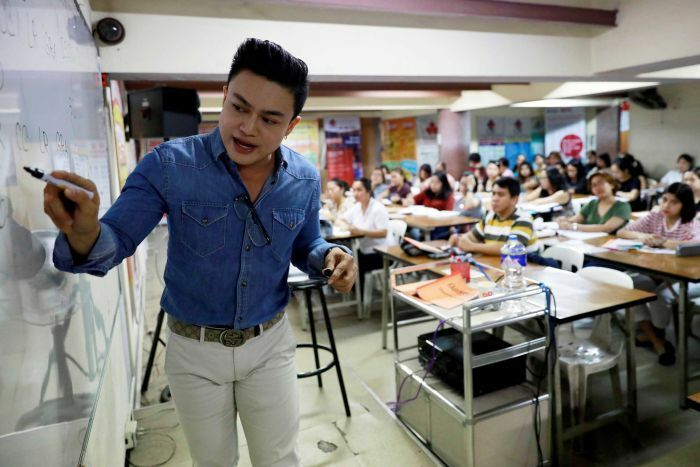 Ms Escalona — with three years experience in a private hospital in Manila — lost almost three months salary paying nearly $US600 ($843.12) to sit the test multiple times. Fed up, she was ready to give up on the UK and try Canada, one of several other countries short of nurses, until her father persuaded her to take the test a third time. “I was already losing hope,” she said. A British Council training video explains the written sections of the IELTS exams. Finally, in January last year, she passed, having at last got a subject she felt comfortable writing about in the tough written section: a comparison between team and individual sports. “I was able to relate to it because I am a swimmer,” she said. Her harsh experience doesn’t bode well for Britain’s chances of adequately filling vast staffing gaps that will worsen after Brexit. Philippine recruitment firm Louis International Manpower Services has received 1,000 job orders for nurses since 2015, but it has only filled a quarter of them. “It is not because of the lack of applications, but the English test,” said Lilibeth Villas, documentation officer at the firm. Filipino-born Diane Lourdes Taboada, ward manager at the NHS’s Kingston Hospital, reflects on the future of nursing. 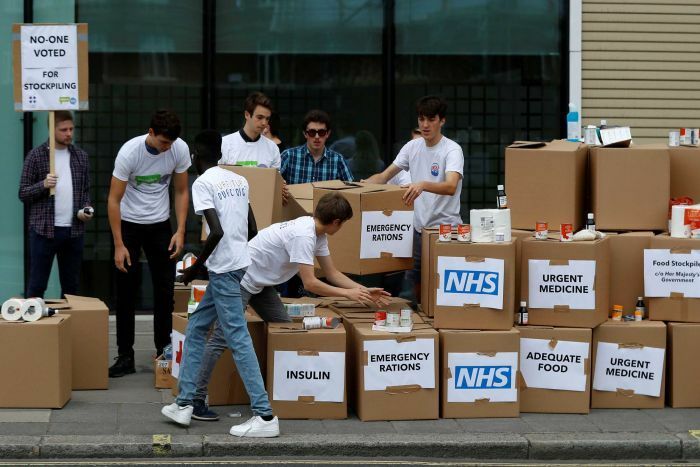 Despite the high barriers of access, the number of Filipinos in the NHS has risen by almost a third in the past two years, according to British government figures. “We will continue to carefully monitor the impact of the recent changes,” she said. Filipino nurses who were recruited in the 1990s did not have to take the language tests, yet they are still in the NHS and providing good service, said Reydeluz Conferido, who was until recently the labour attaché to the Philippines embassy in London. While there, Mr Conferido called on British officials to review the requirements placed on overseas nurses to see whether they were serving the correct purpose or creating an artificial barrier.